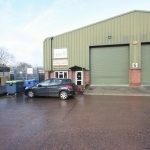 Ilton Business Park is owned and managed privately by the Dunn family, who have been involved in the property business for many years and have a strong portfolio which includes both commercial and residential properties. Most of these are located in Somerset, within a 40 mile radius of Ilton. The family first acquired the Business Park at Ilton in 1965. Since then it has seen several different uses and a great many changes to become Ilton Business Park as it is today. The last 10 years in particular have seen a great deal of expansion and development. During the Second World War the site at Ilton was the recreational area for the nearby Merryfield Aerodrome. At that time it was little more than a collection of huts with a few larger buildings used as a dance hall and a gymnasium, etc. Only one of these original buildings remains today though it has, of course, been subject to substantial redevelopment and refurbishment over the years. Some of the original bars and hooks which supported the gym equipment can still be seen on the walls in the large workshop of this building. Hundreds of men were stationed at Merryfield during the war and they consequently used the site for the relaxation and socialising purposes it was intended for. Even now, the occasional ex-soldier still turns up marvelling at how the area has changed and recapturing those memories which were important to him; each one of these men has his story to tell. More information on this subject may be found with the Ilton Village History Society or by visiting the local churchyard where many airmen stationed at Ilton were buried.